Our mission is to empower low-income individuals to excel and become self-sufficient by addressing both their immediate and long-term needs through extended job-skill training, education and career placement. In September of 2013, Chris Willard, Matthew Seamons and Kerry Flowers volunteers at the Los Angeles Regional Food Bank during National Hunger Awareness Month. Over the course of several hours, the group watched as thousands of pounds of canned food items were towed into the warehouse for preparation and packing. This experience led to a greater awareness of the problem of hunger and poverty in our community and triggered a deep passion within our group to do more. Shortly after in December of 2013, 2 Hands 2 Cans was founded realizing that solving hunger is only one of the piece to overcoming poverty and homelessness. 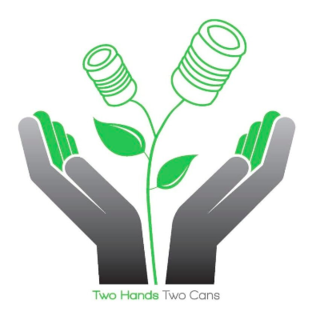 2 Hands 2 Cans is dedicated to excellence and empowerment, believing that everyone deserves a chance to succeed. Our goal is simple: We help provide internships that lead to long-term employment for individuals coming out of foster care, homelessness, addiction, poverty and the military and engage our community in our local garden and through various programming. Your support is vital to what we do and we are so thankful that you have chosen to partner with us!